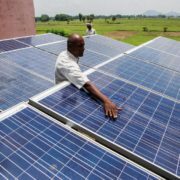 The falling cost of solar energy technology is helping India increase its production of electricity. 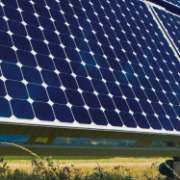 Solar energy is electrical power captured from the sun. 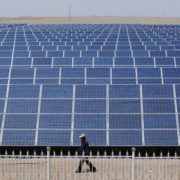 Last April, India’s energy minister Piyush Goyal reportedly said it is now less costly to produce electricity from the sun than from coal in his country. The drop in the cost of solar power is also helping India reach its goal of producing more renewable energy. The U.S. Energy Information Commission says India is the world’s fourth largest user of electricity. However, many of its people still do not have electricity. India urgently needs to increase its electricity production. But, reducing the country’s high levels of pollution is also very important. 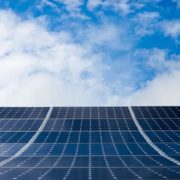 In an effort to meet both goals, the government plans to produce 100 gigawatts of solar power by 2022. A gigawatt is a measure of electrical power equal to one billion watts. 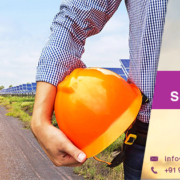 A few months ago, India launched the largest solar power plant in the world in the town of Kamuthi in the southern state of Tamil Nadu. Global News agency describes the power plant as being the size of 60 Taj Mahals. The plant took less than one year to build. The power center covers more than 1000 hectares of land. It is made up of 2.5 million individual solar panels. 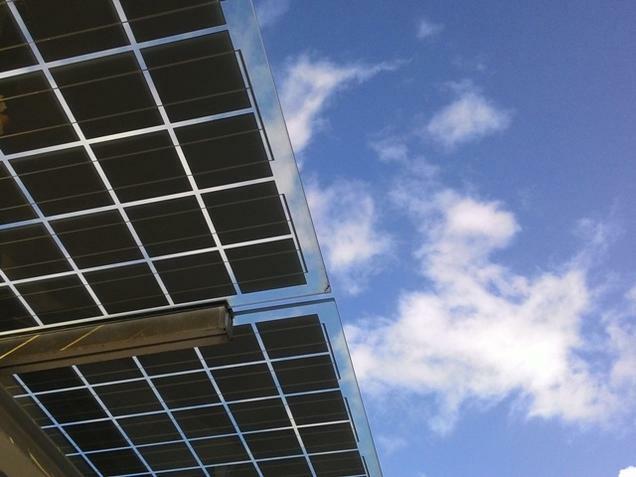 Together, the panels can produce as much as 648 megawatts of electrical power. Adani Power, an Indian company, financed the building of the plant in Kamuthi. 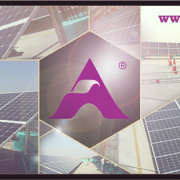 The solar plant is not India’s only big effort to develop solar energy. All over the country, there is evidence that India’s use of solar power is increasing. In 2015, CNN reported that India became the first country to operate an airport completely on solar power. That year, the Cochin International Airport placed a solar plant on unused land near some of its buildings. Now, the airport no longer pays electric bills. Instead, it plans to sell its extra electricity back to the state. Other airports in India are also using solar power, including an international airport in Kolkata, which launched a two megawatt rooftop solar energy farm in 2015. At the beginning of 2010, India launched the Jawaharlal Nehru National Solar Mission to increase renewable energy, which includes solar. By 2022, the government wants to produce enough solar electricity to power more than 60 million homes. Last year, India joined the Paris Agreement. The U.N. agreement is a promise by almost 200 countries to help slow climate change by 2030. Part of India’s promise is to increase renewable energy to 40 percent of its total. Claire Brunel is an assistant professor of economics at American University in Washington, DC. 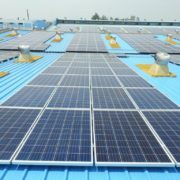 Brunel recently spoke to VOA Learning English about India’s solar growth. However, Modi’s main goal is to expand electricity production using all possible sources, including coal and other fossil fuels. Modi plans to double coal production by 2020, according to CNN. 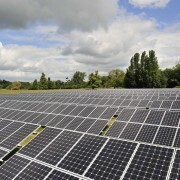 The Indian government also wants to increase the use of rooftop solar panels. Cities are developing plans to use these panels to help make electricity service more dependable. Cities like Delhi have already announced plans to place solar panels on the roofs of buildings throughout the city. For government and public buildings in Delhi, it will be a requirement. The Times of India reported that Delhi Metro, the city’s underground train service, will put solar panels on the roofs of some of its metro stations. But, cities are not the only places collecting the sun’s energy on roofs. Rural communities are getting electricity from companies like Simpa Energy. The website ThinkProgress says Simpa and similar companies rent solar panels to individual customers. 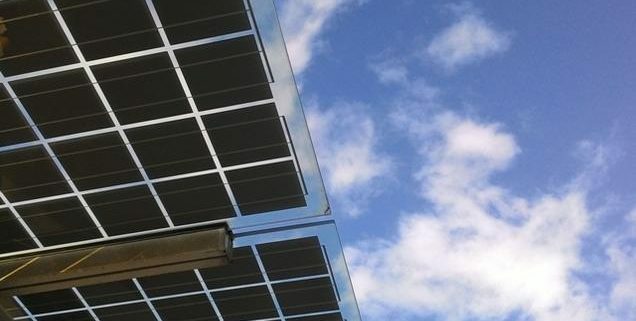 These panels provide electricity without being connected to central power lines. Customers can add credit to their mobile phones to use the panels. Other companies rent rechargeable solar lanterns to customers very cheaply. Companies like Simpa are opening for business in states like Uttar Pradesh, one of India’s largest and poorest states. Claire Brunel says that many developing nations are using rooftop solar panels to get electricity to rural communities, where electrical systems are not dependable. Yet, India still faces serious energy shortages. The country’s energy needs are growing too fast to be met by renewable sources alone. India’s energy use has doubled since 2000, according to the International Energy Agency. Brunel says that by 2040, an estimated 300 million people in India will need new electricity service. New coal plants are being built to provide for this growing need. The country gets more than 60 percent of its electricity from coal. Reuters news agency says India has almost as much coal-related pollution as China. Brunel says the country’s growing need for energy will affect whether it can reduce its levels of greenhouse gases. “If – if solar is capturing the growth in electricity basically, then you’re not technically changing emissions. You’re just making sure that emissions are not increasing, but you’re not decreasing them either.